Stock Market Crash in 2020? Almost on cue, several stock market corrections happened in 2018. Now in 2019, the stock market is once again positioned for growth. In fact, the market has boomed since January. China tariffs have come into effect and US stock markets loved it. Yet President Trump is confuring everyone with talks of Free trade deals with the Chinese. Interest rate increase announcement have ceased, the USD is up, home prices have flattened and listings are growing. Big corporations such as Google, Apple, Facebook, and Amazon reported record breaking profits, yet they are facing anti-trust challenges that could send them crashing. So how can we even mention the phrase stock market crash right now? Well, time passes and the battle between President Trump and the Dems is critical to the US economic outlook. The Dems obsession with foiling Trump, could ultimately cause stock market crashes and housing market crashes along with job losses. President Trump is negotiating with China to let them import again, but China will never agree to fair terms. If China was to find a way to buy US goods, then the spectre of a US stock crash could return, along with unfair foreign competition for US companies. Multinational corporations want to produce goods in China, and they’re financial push against Trump should be taken seriously. Other than Trump, there is little supporting protection for US companies, especially small to mid caps who are getting a chance to invest, produce and grow. But they have little to do with corporate stocks, other than being a source of takeovers and buyouts. Last fall the DOW plummetted 831 points and NASDAQ fell 316, while the TSX dropped 336 points. All with the US Economy roaring , super US jobs report, and a healthy housing market. There are stock market predictions that are much more in tune with the economic numbers. Stock markets dropped today as trading closed with the DOW down 500 points more. The NASDAQ fell a further 70 points and and S&P about 30 points. There’s a lot of guessing as to what’s happening such as pessimistic earnings season reports, China trade worries, and multinational corporate performance (cheap labor market access) in doubt going forward as 2019 nears. Will stock investors panic spill over to the housing markets and cause the Fed to pull back on rate increases? Is too much bad news, negative earnings outlook, rising interest rates, global trade friction, supply chain disruptions, or declining stock performance making investors panicky? Something about the market fundamentals is outside investor’s comfort zone. Is this a stock market correction, or a warning that the market could begin to slide? A look at the chart below might make you think this big correction today might not be a significant event. And this is all in context of a roaring US economy. Robert Albertson, Sandler O’Neill & Partners principal and chief strategist believes a full 8% slide will happen. Others point to the UK and China as global crash risks adding fuel to the US stock market fire. Note: investment experts often advise to hold onto their stocks past these corrections, and buy when stocks drop so suddenly. Those who panic tend to lose a lot of value. One MSNBC commentator feels the market is beginning its transition away from International stocks such as FAANG stocks (Google, Facebook, Amazon) to domestic equity stocks. This graphic on the right shows US domestic stocks are gaining steam. 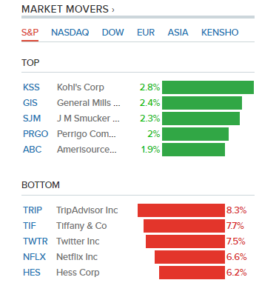 The slide is affecting NASDAQ, DOW, S&P, TSX, and all major indices and some experts are calling for a further hefty correction due to global trade relations. Yet with $1 trillion in US tax cuts and protective tariffs, you’d have to wonder why US investors would be nervous. Since we can’t rely on experts to predict against today’s unique circumstances, risks, and changing trade relations, we should try to understand it ourselves and create our own 2020 forecasts. 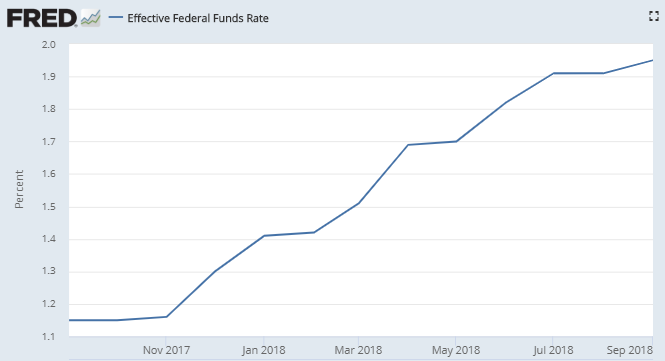 Aggressive Rising Interest Rates a Big Threat? Can the Fed do whatever it likes? Last winter, the persistent announcement of the Fed interest rate hikes really shook the markets, and it may be happening again — a paparazzi thing where negatives are hyped up and where algorithmic robot trading sends the markets out of control. This year’s rate rises however are a bit alarming as this graphic shows — 70% in the last year. When you consider that such rises always accompany recessions, it’s no surprise to see a stock market correction or pullback and even a housing market slide. To investors, this scenario doesn’t look good. It can affect stock prices and discourage investment in new US businesses. Volatility: Here we go again. 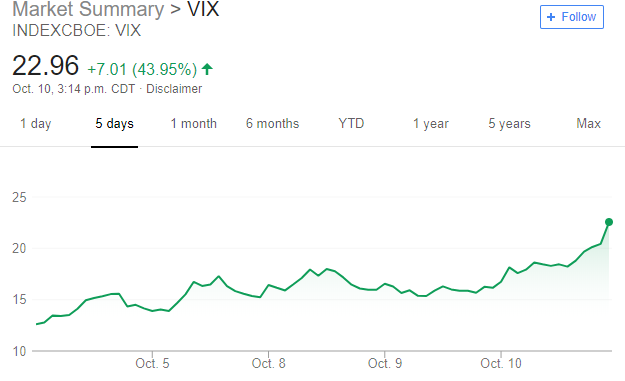 The Vix is lighting up of late. In early February, the US stock markets including the Dow Jones, NASDAQ, and the S&P fell 5% to 10%. The Dow plummeted 1600 on Monday the worst single day correction in its history. 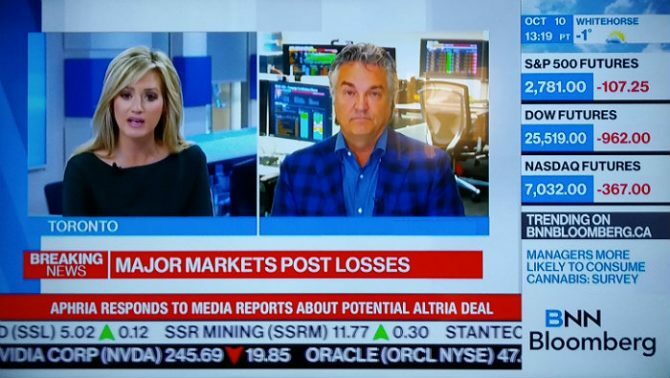 Will this persistent volatility on the DOW, NASDAQ, S&P, FTSE, and TSX become a contagion that affects other markets such as the housing markets? People used the big loss day on Monday as a marker, but perhaps tomorrow will be a new marker? As an investor, do you need to know the causes of the volatility and correction? Right now, the market has recovered and the US dollar is gaining strength. Yet trade deal turbulence could cause a wobble in global markets. The world is still dependent on the US economy. The Economy is Strong: How Could a Crash Possibly Happen? Will there be a housing crash in 2019? Jobs are up, and GDP is coasting along at 3+% growth. Yet rising oil prices, political conflict, trade disputes can all easily run out of control. And that makes investors nervous. Experts believe the February 2018 stock correction was due to Fed Interest rate intentions (are they really fighting inflation or creating it?). Or was it ETFs or AI guided trading bots? Since there was no emotion before the mini crash on those days, it appears the slide was quietly caused by AI trading bots working for large funds. This post delves briefly into the theory and factors involved in market crashes, corrections and selloffs including investor expectations and mood, FED decisions, government meddling and AI systems (Note: even the people who make Artificial intelligence and self-learning algorithms have admitted they don’t understand how the AI systems make decisions. They learn and make decisions independent of human input and may not be able to report to humans how and why they acted). As time passes and bots do more of the trading, human investors are left with fewer clues as to what is moving the markets and when it’s time to get out. That fear could lead to panic selling next time. Global stock markets were deeply impacted in the last few days, letting everyone know that markets are connected, even the housing market. The Dow, S&P and NasDaq all hit new record highs in 2017 and stock valuations were very high, perhaps too high to justify. The volatility of bitcoin and Pot stocks might be worth mentioning because a few are suggesting it cause trouble for the stock markets. Many investors don’t seem to know what bitcoin or the Pot stocks are worth. And given how complex markets, businesses, and computer trading is, investors really don’t know what could happen. Will the Market Bubble Collapse? Some experts suggest a stock market bubble is about to burst sometime between now and 2020. Other forecasters refer to government reactions and policies as the key determinant or crash factor. You’ll hear them in the videos below. Some even point to the fact that Warren Buffet is sitting on a mountain of cash rather than holding stock. And his stock market indicator is pointing to a crash. As you’ll see in Tony Robbins prediction video below, people will make money on the market crash (including those selling short). And others will lose everything. Let’s look at the prospect of a stock market crash and hear from experts. 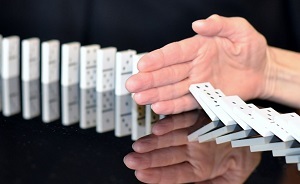 Could we say this crash will be like a series of wobbly dominoes that begin falling, while overconfident officials feel they can reach out and stop the crashing tiles? Some are looking at the housing market as ripe for a crash. There’s been persistent rumors of crashes in Chicago, Miami, Denver, Seattle, New York, Los Angeles, San Francisco, Toronto and Vancouver up in Canada. Yet none of these markets could crash easily. The economy is okay and there are too many people who need homes. Too Much Overvaluation, Optimism and Growth? Some experts cite the euphoria of stock markets during their bull runs. 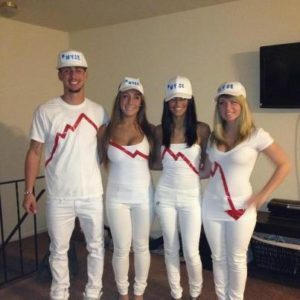 They suggest the heightened unrealistic expectations create a platform for disaster and when reality strikes, truth launches panicked sell offs. Some say the overvalued stocks, economy, and general optimism present right is a sure predecessor of a crash. It may have been that way in 1987. 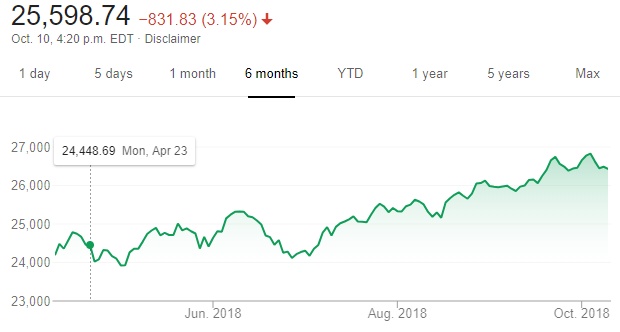 Stock values have reached levels not seen since those two disasters and a correction would throw the world economy – currently seeing an ongoing boom period – into disarray — news report. Stock prices and housing prices have ridden on a tide of low interest rates, demographic changes, government stimulation, foreign trade, technology, and more. At the end of a long business cycle, consumers are satiated. But do consumers have all they want? Are investors ready to leave US stock markets for gold and currency? What do the Historical Stock Timeline Charts Say? This chart of the S&P index shows market crashes are uncommon. Economic indicators are traditionally used to identify potential crashes. Check out these top 6. Are investors so optimistic that economic data can be disregarded? Is What Happened in Previous Market Collapses Relevant? Bearish experts will rely on history, and history likely will side with a crash outcome between 2018 and 2020. Panic emotions of investors and government leaders is the X Factor. Today, markets are driven by computer algorithms that act faster, and still ultimately controlled by emotional humans. If you’ve ever seen a stampede, you probably can visualize the events in 1929. Some are thinking that computer aided panic is what might happen. Thursday marks the 30th anniversary of ‘Black Monday’ market crash from CNBC. Please do share this post on Facebook with your Friends. They’re scratching their heads right now! Artificial intelligence systems, trading algorithms, or AI predictive programs may even be more prone to panic because their actions are actually irrational. They’ll sell lightning fast without any reference to long term value. When panic hits, the AI systems may become almost useless, other than predicting which stocks will crash slower. In fact, such AI algorithms are so complex, the programmers can’t figure out how the AI systems are making their decisions. AI systems can’t describe why they make their decisions either. The AI systems are increasingly autonomous, taking cues from market activity yet not really knowing what the activity means on a human emotional level. AI systems don’t really understand the human element of international trade and politics. Geopolitical risk is a major factor today. If thinking about a US stock market crash is too difficult to visualize, you might consider selling soon. Getting greedy is one additional sign of irrational thinking that’s driving stock markets and housing markets currently. Housing markets are key because real estate has been driving the economy for awhile. A bursting housing bubble could launch the landslide that takes down the stock markets. Seriously, Could US Stock Markets Crash? All positive economic cycles generally end with some sort of rapid descent, just like a roller coaster. That descent at the end is the rush out just like a stampede. It’s completely desperate and irrational. Long term, everything returns to the equilibrium point. 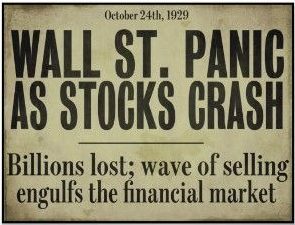 The stock market crash is the point where investors lose all confidence and decide to pull their money out pronto. Sell, Sell, Sell. As a million dollar home owner or prospective buyer, or mortgage holder watching mortgage rates, you’re wondering when this record long economic boom will end. An important signal is desperate buyers jumping into the housing market at excessively inflated prices, overly indebted and leveraged, they fall hard when the panic button gets pushed. When governments prohibit land development, it makes home prices rocket. More millennials wanting/needing homes, high immigration, rising income, low interest rates, cheap mortgages all together create the drive to buy a home. Scenario: Big money chases few homes, and when governments persist in stopping or not supporting land development, speculators become more confident prices will rise further. Then a politician or FED president steps in with their reactive solution, at the end of the business cycle where employment and profits will begin to drop. Speculators/investors pull out fast, and the slide begins. Will the Housing Market Collapse Too? Home prices are now around record levels, but there is low unemployment, low mortgage rates, and a huge population hoping to own. That’s desperation. Enter cheap financing companies giving buyers a hope at ownership, just like 2007, and a housing market collapse. President Trump’s recent tax revamp is going to extend the cycle for sure. Yet that provides more time for the bubble and “crash factors” to form like clouds on a beautiful sunny day. Business cycles form just like cold weather fronts over the prairies. They end in storms. Have a read of Wikipedia’s description of market cycles and the various theories of why markets collapse and you’ll be more certain that they could indeed happen. From MIT’s inverse cubic power law, to chaos theory, researchers focus on the mathematical and technical elements. The research on investor/debtor mimicry is worth a read too. People follow each other blindly like they were tailgating each other on a high speed highway. If anything happens, there’s going to be a chain reaction crash. The way the expert describe mimicry however makes it look like everyone abandoning ship so are they mimicking others, or just jumping off the ship at the same time? However, the fact investors simply copy others buying and investing behaviors makes the abandonment more likely. The research suggests mimicry was present in most stock market crashes and housing crashes. The predictive behavior is nervousness about the market, followed by mimicry, followed by panic. That panic could be set off by anything because of investor/owner anxiety. Let’s say Warren Buffet sells a huge array of stocks suddenly. That combined with news about an impending war, poor jobs report, and fast rising interest rates, could be all it takes. None of the research however, seems to be applied to human expectations, human happiness, and human panic. Human’s don’t pay attention to historical trends and data, nor what AI systems advise. They generally pay attention to now just like herding animals before a stampede. The signal that sets the herd off, could be one or two animals stumbling over a pothole. The final analysis would reveal that people sell stocks and housing when they believe strongly the market is heading down. That’s when the wealthy and speculative investors check out en masse. With stock market prices and housing prices at record highs, even uneducated investors and home owners would be vulnerable to bad news and false outlooks. Tony Robbins explains why this Stock market crash could be the single best opportunity of your lifetime. The major media networks might exaggerate some financial, political and consumer facts an launch a slide. The general consensus of Internet users driven by a Facebook/Twitter/Instagram mentality could easily exaggerate threats. Major geopolitical actions might actually mean nothing materially for the markets, but if interpreted otherwise, it could start a slide that governments couldn’t stop. In this video, Peter Schiff talks about government action being the key thing to predict a stock market slide. The latest theory of RR Reversal has it that all markets suffer a pullback of 10 to 40%. So empirical data and events are the basis of future action. Given the success of political correctness, fake news, and social media pressure, it’s not hard to see a big pull back driven by emotional investors and buyers. That could launch political reaction which magnifies the issue. As good as prognosis the US economy has, there are a lot of human emotional factors that could launch a recession. Let’s not forget that we’re a long way into this business cycle. The end is surely in sight. While not everyone is satiated and ready to stop spending, many wealthy people are. The wealthy have unusually powerful vote about trends. When they pull out of the economy, that news will be heard by AI systems and human investment advisors. When the panic button gets pushed this time, it will be the shock wave before the tsunami. Even if we turn everything over to artificial intelligence systems, our global economy is new. The AI systems are seeing a new environment with new players. Chinese buyers and investors think differently than US bankers or European politicians. And a herd of 1.5 billion panickers is a scary thought. Given the battle between Trump and his enemies, it’s an emotional environment that fuels income for news media. As you know, they need sensationalism to pay their bills. That smoke screen is enough to keep people off balance and insensitive to the real investment issues. At some point, in emotional confusion, the stampede could take place. 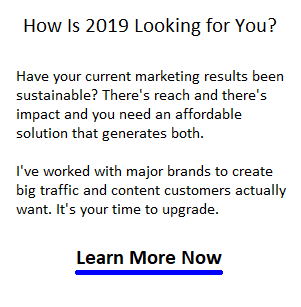 Most forecasting models don’t go beyond 2020 or 2024, and that in itself might give you pause for thought. The fact that investors, homebuyers, and corporations can’t visualize 2 years ahead is worrisome, especially since experts have access to all the data. Too many forecasters, economists, and business people look at data, but is data just a false cue and where everyone reacts too late? Robert Shiller himself isn’t alarmed at the CASE ratio. He suggests that investors diversify their investments. That would help allay panic type behavior. Paying attention to economic changes and other signals could give you forewarning of what could happen from 2018 to 2020. If relying solely on professional stock market experts and news stories would not be wise. As the overall indicators move relentlessly high, it might provide a clear signal that market is cresting, and will head back down to equilibrium. One clear signal might be excess in demand which draws money and government reaction. When do you think this current bull run in the markets will end? Will it be soft or a loud crash? Note: The statements and information presented in this post is not intended as professional investment advice. It is solely an exploration of stock investing and the risks, perils, and behavior of stock markets and the economy. No one should rely on a single source of information or a single stock market and investing professional’s advice. The overall message of the post might be to diversify stock, real estate, and cash/gold holdings as a hedge against stock market crashes. Investors should look into hedging strategies but be aware that even hedging may provide limited protection from a crash. I am very frightened. This past June, I allowed a financial advisor to convince me that my portfolio made up of primarily stocks was risky for a retiree. I have been retired since 2005 and had held the same stocks since then. These stocks included 2 Canadian banks, BCE, TransAlta, and Emera. I was receiving dividends o $4,800 per year and all the stocks consistently raised their dividends. The financial advisor put me in2 costly mutual funds which proceeded to lose me $ 1800 within days and also swallowed up up my incoming dividends from the former portfolio. By the time I was down $6,000 I panicked and pulled out of the mutual funds. And! This was in 2017. What I have left and what I thought would carry me through my retirement is now in a money market making very little and I am terrified daily as to reinvesting it.